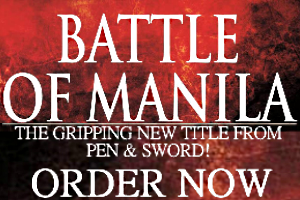 As of this writing, the Indian Army is in the process of fielding its Arjun Mark I MBTs. The Arjun was conceptualized as early as the 1970s and has since become a travesty for India’s military-industrial complex. The first generation Arjun was meant to replace the sizable fleet of Vijayanta tanks that formed the backbone of India’s armored forces. The Vijayanta was a license-built Vickers Mark I and earned itself a solid track record during India’s numerous wars with Pakistan. The only other tank in Indian service to prove as reliable is the ubiquitous T-55, which are now scheduled for decommissioning. The tank chosen to build upon such a distinguished legacy was the Arjun, but it soon proved a basket case. A harsh judgment, perhaps, but the record stands: The Arjun has the ugly distinction of having an almost 40 year pre-production phase. The Arjun spent so much time in pre-production, that India sensibly bought more than two thousand Soviet T-72’s to augment its armored forces. When it was time for the T-72’s to be replaced ten years ago, India began its lengthy acquisition of the T-90S. It’s expected that the T-90S and upgraded T-72’s will form the bulk of India’s armored forces by 2020. What about the Arjun? Mark I was deemed unfit and it took a lot of hoop-jumping before Mark II finally earned the Army’s confidence. What really hurt the Arjun program wasn’t so much the lack of technical-engineering skills—dismal performance and hardware issues were fixed—but good old-fashioned red tape. Redemption ultimately smiled on the Arjun when 45 Arjun Mark Is joined the 75th Armored Regiment earlier this year, with more on the way to replace the aging T-55’s that are still in service. To the Arjun’s credit, after so many years in development it has finally become a world-class MBT. Armed with a 120mm main gun plus the usual complement of coaxial and turret machine guns, the Arjun Mark I is powered by a multifuel 1,400 hp diesel engine that can drive the tank across the battlefield at 72 km/h. 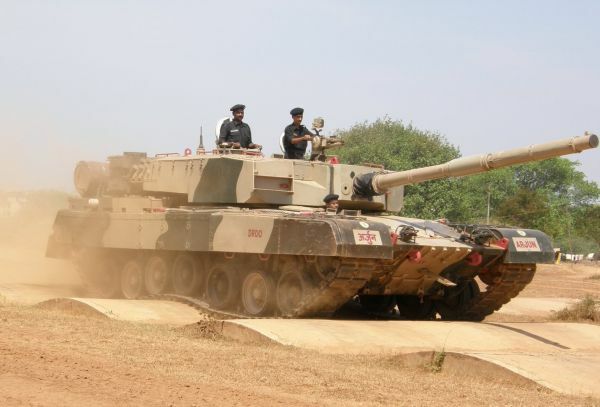 The Arjun Mark I follows a conventional tank layout and has a crew of four, with a turret shaped like the earliest variant of the German Leopard 2. NBC and night vision-capable, the Arjun’s protection system also includes classified Karchan composite armor. Even more impressive is the Arjun Mark II that’s currently in development. The next generation Arjun is designed to fulfill new requirements, including an improved armor package, missile firing capability, and a more powerful engine. 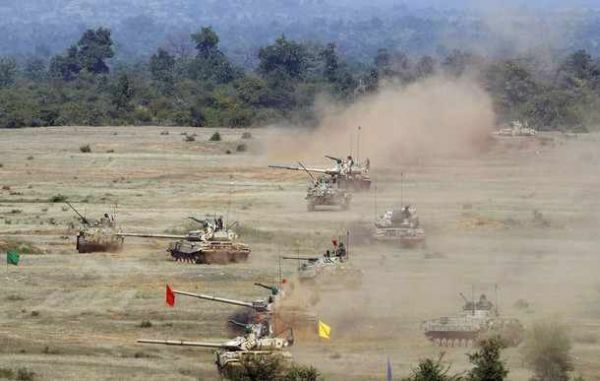 The Indian Army’s initial order for 124 Arjun Mark I’s is being augmented with an additional 118 tanks, as mandated by the Ministry of Defense. The bulk order somehow vindicates the DRDO’s most notorious program, though large numbers of T-72’s and T-90s’ remain the mailed fist of the Indian Army. The sad part is, despite the Arjun’s long overdue deployment and subsequent testing for the rest of 2011, it’s fielded in fewer numbers than its Russian-made counterparts.